Panel: What Time is It? Financial Issues Facing Clergy in the United States: Results from National and Denominational Surveys by Kirk Hadaway & Penny Long Marler. Powerpoint here and WORD document here. 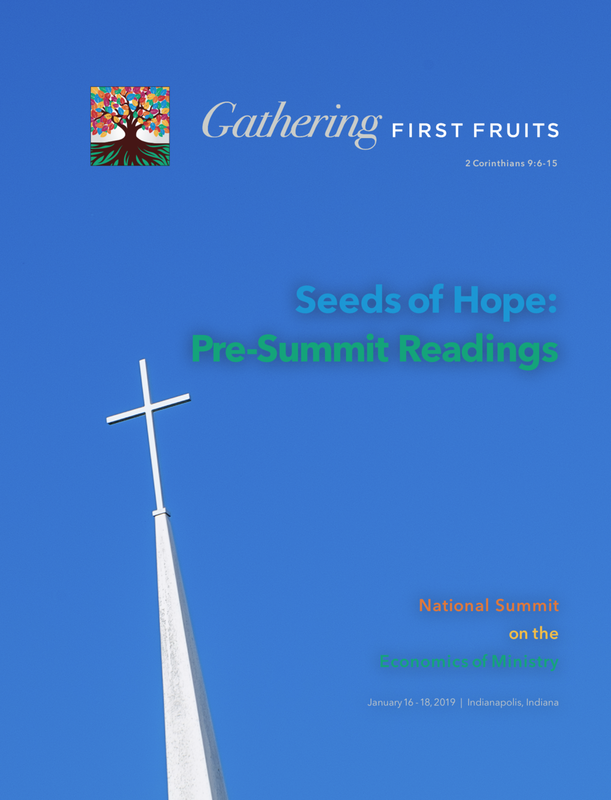 The directory of projects has been prepared for participants of Gathering First Fruits: National Summit on the Economics of Ministry to provide information about projects represented at the event in January 2019. Click here to download a PDF. The enclosed articles and stories were re-published to help prepare participants for the national summit in January 2019. Click here to download a PDF. Lilly Endowment’s 2015 Annual Report featured an article from which the opening story in the Pre-Summit Readings, “Money Matters: Economic Challenges Facing Pastoral Leaders,” was excerpted. Read the full article here. To read the full article by Jo Ann Deasy from which the excerpt, “Virtuous Cycles: Supporting Future Ministers,” comes, click here. C. Kirk Hadaway and Penny Long Marler engaged both the collected research produced by ECFPL planning grantees and national economic data to produce this 2017 ECFPL Research Report.